Hungry for a bite to eat? 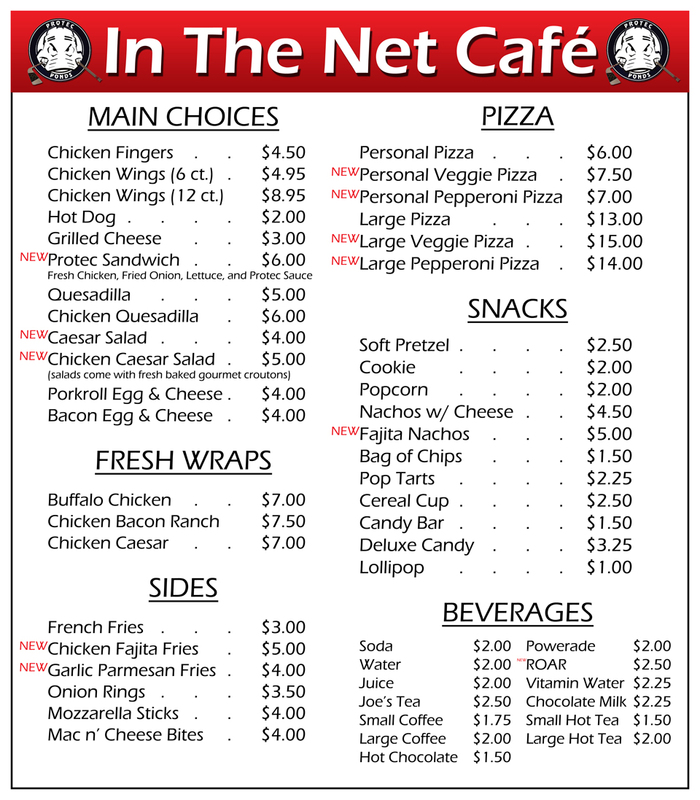 Head upstairs to our “In the Net Cafe” for your classic favorites. You can find anything from soft pretzels and popcorn, to delicious buffalo chicken or chicken caesar wraps, personal pizzas, and chicken fingers and seasoned french fries. Wash it down with a cold soft drink, or if you need a pick-me-up, try our Seattle’s Best coffee or Tazo teas. Some of the prices and options on the following menu have changed.